My kitty is diabetes free for 5 years now and healthier than ever! 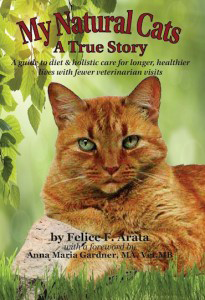 I believe the combination of the raw meat diet with your supplements plus Glipizide (pill form of insulin), some herbal supplements and some holistic medicines prescribed by my vet helped to cure her. 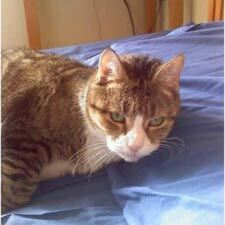 She started developing neuropathy in her hind legs, which I was told was a side effect of diabetes. 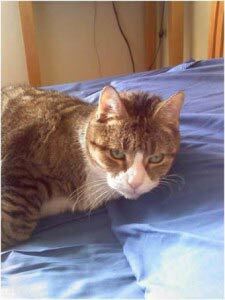 It got so bad she could hardly walk, and I even had her seeing a pet acupuncturist, but it didn’t help. Other vets told me she would never walk normally again, but my own research indicated that nerve damage can result from over-medication of insulin, not the actual diabetes. Finally I took her off all medications and within a few weeks she got better all on her own and was walking normally. Since then, I’ve been feeding her nothing but the raw meat diet (chicken and turkey) + Feline Instincts, and some medications for unrelated problems, and her blood sugar has been perfect for 4 years now.